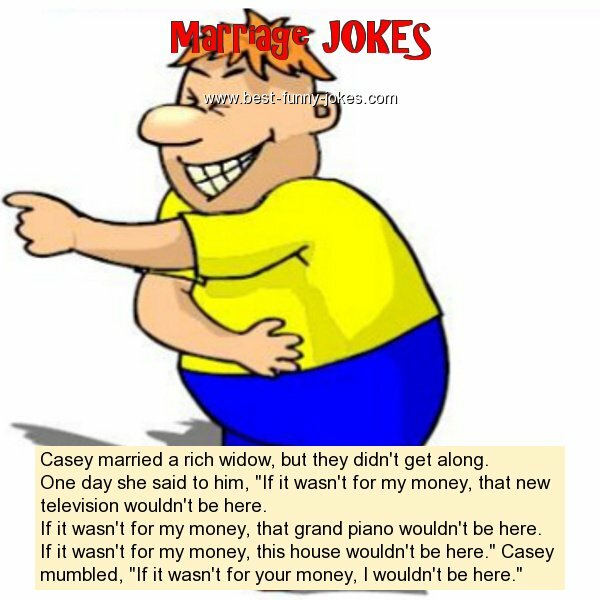 Casey married a rich widow, but they didn't get along. One day she said to him, "If it wasn't for my money, that new television wouldn't be here. If it wasn't for my money, that grand piano wouldn't be here. If it wasn't for my money, this house wouldn't be here." Casey mumbled, "If it wasn't for your money, I wouldn't be here."